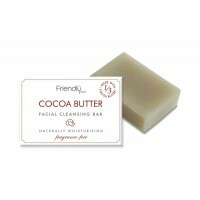 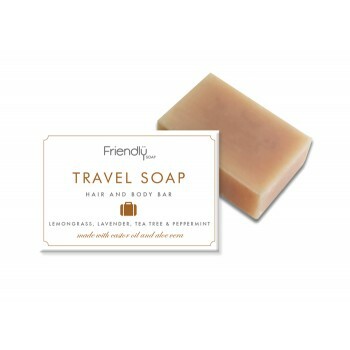 This fabulous multipurpose travel soap is the no-fuss solution to cleaning and caring for your skin on holiday. Friendly Soap Travel Soap is designed to be suitable for use as shampoo, body & hand soap, shaving soap and has deodorizing properties, this luxurious little bar is a space-saving wonder that just pops in your hand luggage. 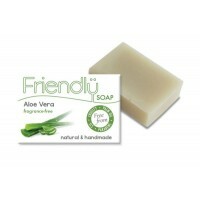 Fragranced with lemongrass, lavender, tea tree and peppermint essential oils.